Your photos and videos are important parts of your memories, and with the awesome camera you have on your iPhone, you probably have tons of amazing photographs. The problem with all of those photos is that their beauty comes with a price – storage space! 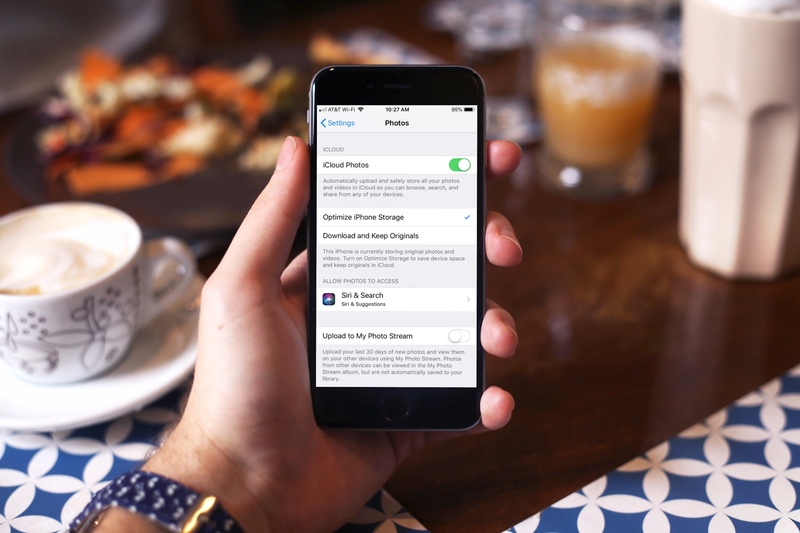 You don’t have to offload your photos to save space on your iPhone or your Mac. With one simple setting, you can optimize the space and keep shooting those great shots. 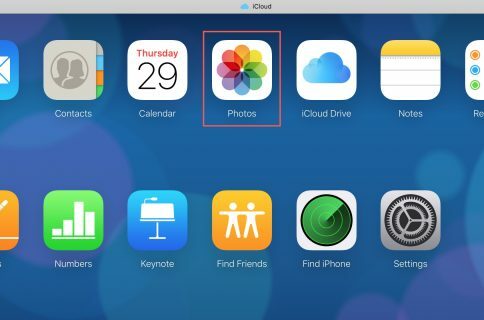 Here’s how to have your iCloud Photos use less space on your iPhone, iPad, or Mac. On your iPhone or iPad, open up the Settings app and then follow these steps. 1) Scroll down to and select Photos. 2) Under iCloud, tap Optimize iPhone Storage. You’ll see a checkmark indicating your choice. You can do the same thing on your Mac by opening the Photos app and then following these steps. 1) Click Photos from the menu bar and select Preferences. 2) Go to the iCloud tab. 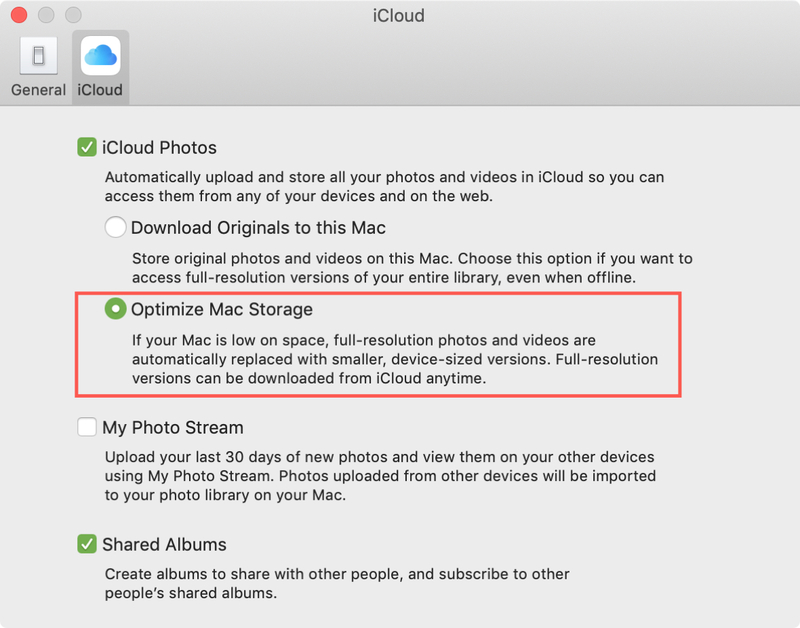 3) Under iCloud Photos, mark Optimize Mac Storage. As you’ll notice with this setting enabled on iPhone and Mac, your high-resolution photos and videos are replaced with smaller versions. And, your originals are all safely stored and can be downloaded at any time from iCloud. For more tips and tricks on saving space on your iPhone or Mac, take a look at these tutorials. Save space and keep shooting those fantastic, memorable photos. 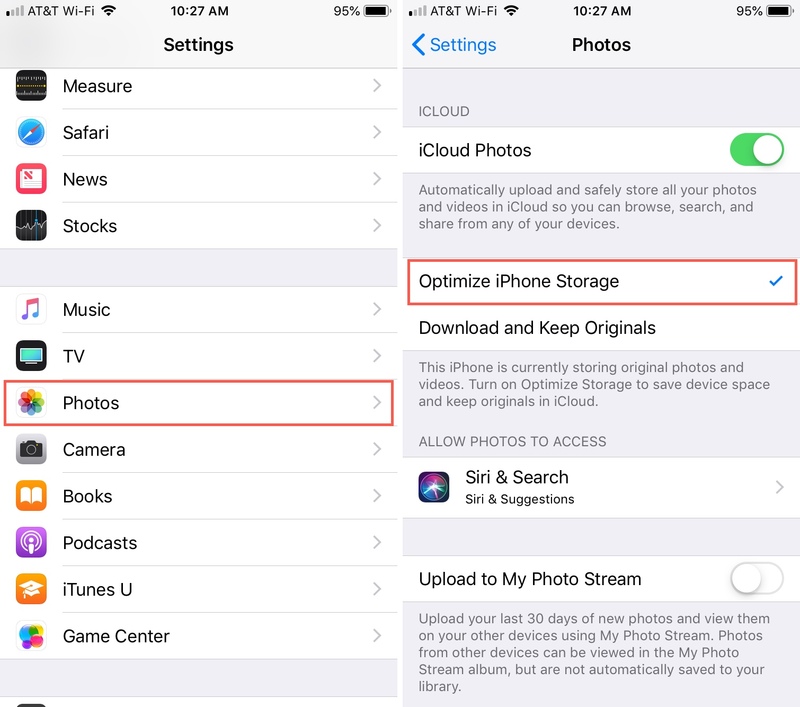 And for doing more with your photos, check out how to remove unwanted objects from your pictures or view the GPS coordinates of photos on your iPhone.